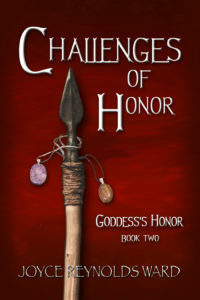 Happy Book Day, CHALLENGES OF HONOR! What challenges from the Gods are honorable…and right…to accept? Change is coming eleven years after the events that transformed Katerin Healer into Katerin ea Miteal and catapulted Rekaré ea Miteal to the Leadership of Medvara. Katerin’s daughter Witmara grows stronger in magic while studying under Alicira, Katerin’s cousin and Rekaré’s mother. Rekaré struggles with her mixed feelings toward her leadership and her daughter Melarae. When a challenge to Rekaré arises from a recent Daran Empire exile, Chiral, as Alicira’s health fails, Katerin must choose between remaining obscure, or fully claim her role as a Miteal. The Seven Crowned Gods have their own agenda. What are the consequences of thwarting Chiral’s schemes, and why are the Gods meddling now? Katerin and Rekaré are faced with many challenging choices but not all are honorable—or wise. 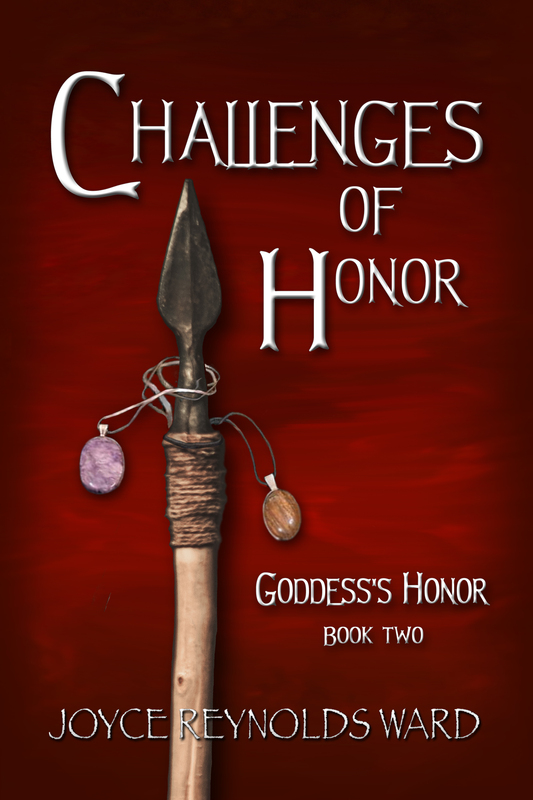 I started the Goddess’s Honor series after reading one too many fantasy novels set in a quasi-medieval European setting with yet again too many men and not enough strong women in leadership roles. I also wanted to examine what happens in a world driven by magic when the Gods overseeing it go to war against each other. At what point do the humans affected by the divine war step in and say “enough!”? Additionally, I wanted to write fantasy based in places I live and love, not partially visualized generic settings from a part of the world that my family hasn’t lived in for over two hundred years. Goddess’s Honor is loosely set in the Columbia Plateau and Willamette Valley environs with the Great River Chellana running through the lands of Keldara, Clenda, and Medvara. Magic comes from the land and manifests not just through human spells but in special breeds of horses, sheep, and plant species. Comments Off on Happy Book Day, CHALLENGES OF HONOR!